Happy May! This is a fun month filled with mother’s day, birthdays (me and Maren!) graduation parties, a baby shower, baseball/softball games and Memorial Day. 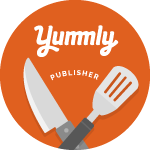 With all these events going on, I know I’ll need to have recipes that are great for gatherings. To me party food means simple, portable, and can serve a crowd. When I’m asked to bring something to a party, I prefer to take something that is ready to serve. I hate to impose on the hosts by asking to heat something, chill something, or even get in their way by doing lots of preparations to my dish prior to serving. I like to bring things that I can just plunk down, uncover and dig in! So this week’s checkIN & checkOUT is all about party food. Enjoy…. These Caprese Salad Skewers from Jessica at Stuck On Sweet are a perfect party food. They are easy to prepare…just skewer and arrange on a platter, they are convenient to travel with, and people love fun finger foods! I love Jessica’s addition of a balsamic drizzle. You could make this up, put it in a mason jar for travel, and then just drizzle on the platter when you arrive at the party. Easy peasy! Pasta Salads are great dishes to bring to parties and picnics. First, if you go with one that has an oil and vinegar dressing, rather than a mayo based dressing, you don’t have to worry about refrigeration. Second, pasta salads are made to feed to an army. Third, they are always a crowd favorite…everyone loves a good pasta salad because they’re filling and full of flavor. This one from Julia at A Cedar Spoon is full of Greek flavor: veggies, feta and a Greek vinegarette. Yum! Need a slam-dunk dessert to bring to a party? 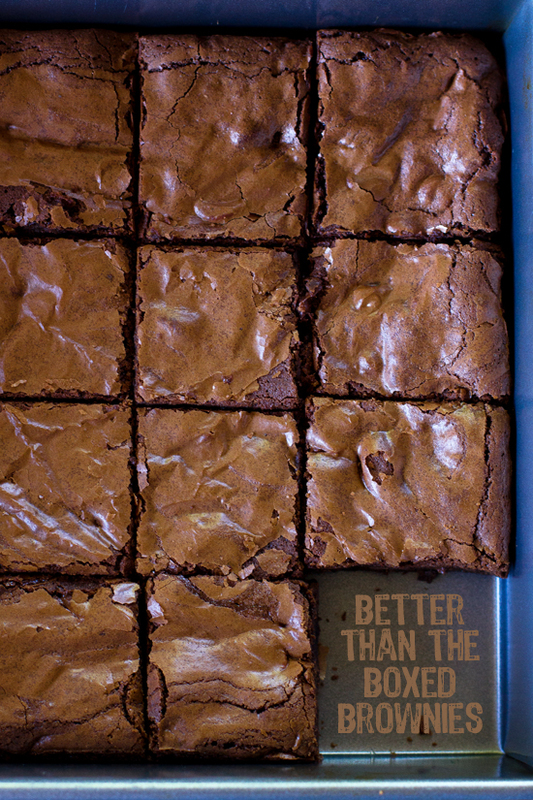 You can’t lose with brownies. These are simple and classic, but everyone loves them. They’re easy to eat – no untensils required! – and couldn’t be easier to make or transport. Just pile them high on a platter and watch them disappear. Natalie from Life Made Simple has perfected a homemade brownie that is just as easy, but way tastier than a boxed mix. Try these asap! Sure you could bring a bottle of wine or some beer to a party, but why not take it one step further and mix up a fun, party punch? There are tons of make-ahead, big batch cocktail recipes out there. This one from Milisa of Miss in the Kitchen looks like a winner. You could mix it up in a big pitcher or beverage dispenser to make it easy to transport. Just remember: when you are bringing a punch to a party, wait until you arrive and ready to serve to add any fizzy ingredients so the fizz doesn’t go flat. My last item today is a shameless plug to the giveaway that I’m running this week! When you are prepping and cooking and mixing up cocktails to bring to your parties and events, you’ll want to have these Casabella Kitchen Tools! The Garlic Prep ‘n Store and the Clip ‘n Strip Shears are perfect for spring and summer cooking when you’re using lots of fresh herbs and garlic. Today is the last day to enter so make sure you head over to the original post and get registered to win! That orzo salad looks RIGHT up my alley! I need to try ASAP! I’m going to have to try the salad and wine punch asap!! The caprese skewers are so cute for a party! We love caprese salad and I love the idea of dressing it up this way!